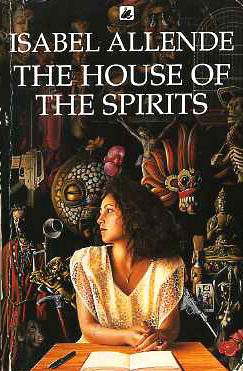 The House of the Spirits is a captivating tale that combines a gripping family drama, a study of political upheaval, and a stunning use of magical realism. This saga of the Trueba family introduces memorable characters with whom you immediately fall in love, and I was also keen to turn the page, to find out what would happen to them. What worked best in this book for me was the blend of reality and unreality. Parts of the book were visceral and felt embedded in fact, while others had a deep fantasy element. I can see why this book is on so many of the lists of books to read before you die etc. It is a dazzling work, and one which I definitely believe warrants future rereads, as I think it's one from which you'd take away something different each time. 4.5 stars that I am rounding up to 5 stars.